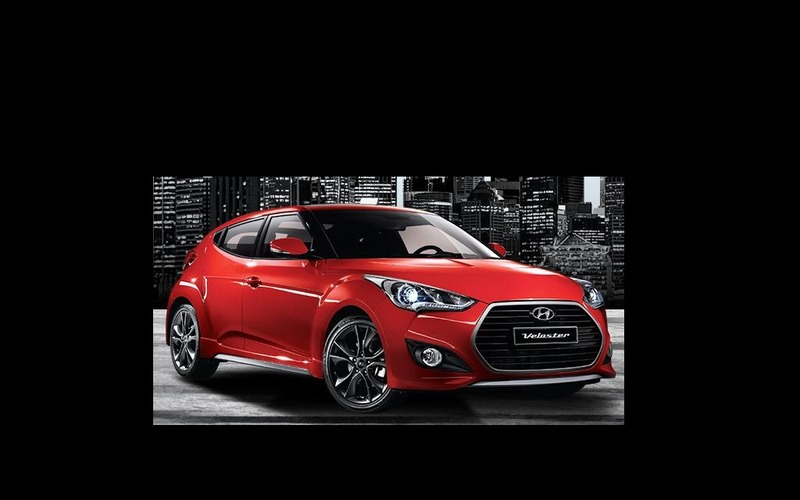 Hyundai just showed the latest iteration of its sporty Veloster Turbo coupe in its home market of South Korea. While the exterior modifications are somewhat limited (we can still spot new wheels, a silver grille outline and new colours), most of the changes are under the hood: First of all, an adjustable engine noise equalizer has been fitted to the car. We don’t know much about this technology yet, but it seems that the driver can choose to hear different sounds in the cabin (exhaust, turbo, induction noise) depending on their preferences. The six-speed automatic gearbox is on its way out, replaced by a seven-speed dual-clutch unit. Clutch fans rejoice, the six-speed manual is still offered. Finally, new sporty seats and a new speedometer are also part of the package. We should see the updated Hyundai Veloster Turbo at an upcoming auto show shortly, and we will then be able to see if some or all of these changes will be available for the North American market.